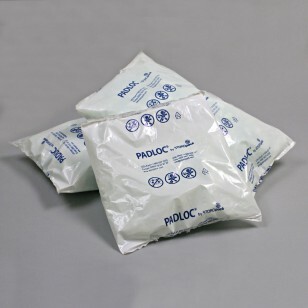 Pad Loc™ cushioning pads are pre-filled bags of peanuts which provides protection with no mess. These cushioning pads provide many versatile packaging options. They can be used for fill, end caps, blocking or bracing. Pad Loc pads are also reusable.